Although natural in character, timeless in style, and sophisticated in class, hardwood flooring may not be suitable for every home. It dents and scratches, it requires routine maintenance and climate control, and it can oftentimes be a bit pricey. Great News! Now you can get the look and warmth of a natural hardwood flooring without the upkeep and expense. 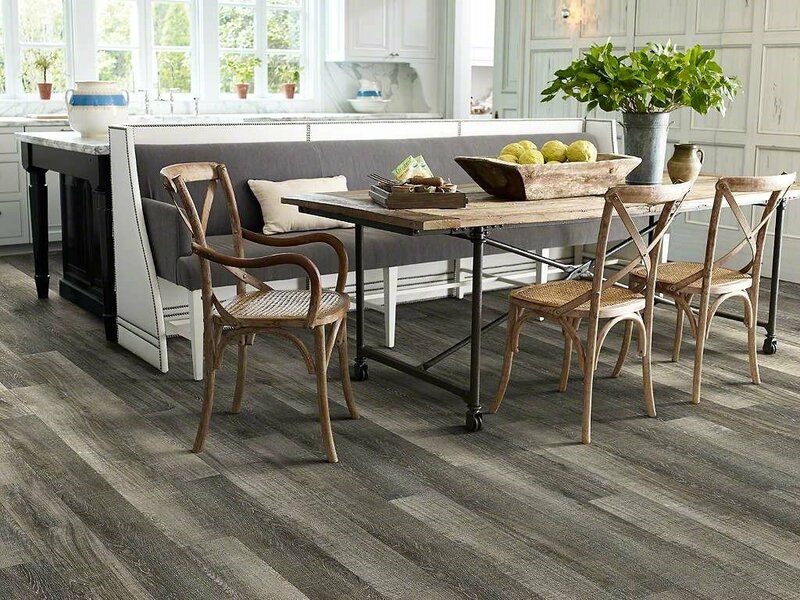 Luxury Vinyl Plank flooring has become an increasingly popular alternative to hardwood flooring and for good reasons too. There is a large variety of styles now offered in LVPs. 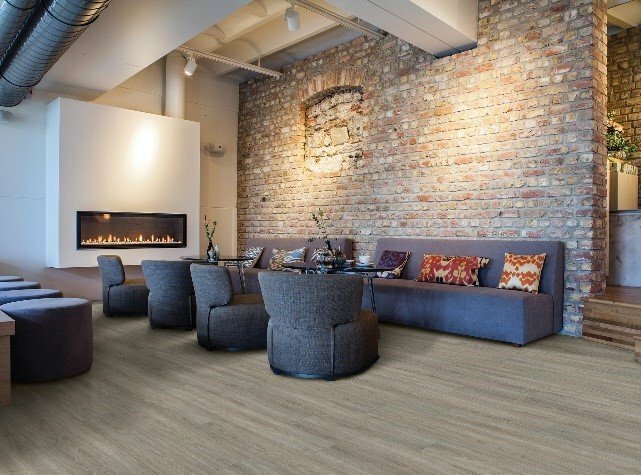 From warm walnut & natural maple, to rustic oak, and even white-washed looks, we are sure there is an LVP fit for every home. Multiple plank sizes are even offered, ranging from 3”W to 9”W with lengths as long as 72”; sometimes it’s hard to tell the difference between LVPs and real hardwood floors. Most LVPs are commercially-rated, meaning if they can withstand the foot traffic of a small office or a coffee shop, they should be able to withstand the everyday wear and tear of a household full of kids and pets. Additionally, more and more LVPs are becoming waterproof as well – No need to worry about a plumbing leak ruining your new floors. And best of all, these floors can be installed at a fraction of the price of real hardwood. Not only is the product less expensive, but the installation is quicker and easier as well. A majority of the LVP’s on the market today are floating floors, which means they are not nailed or glued down to the subfloor, but rather clicked together from plank to plank and held in place with the structure surrounding the floors. This is also ideal for if one plank ever needs to be replaced. 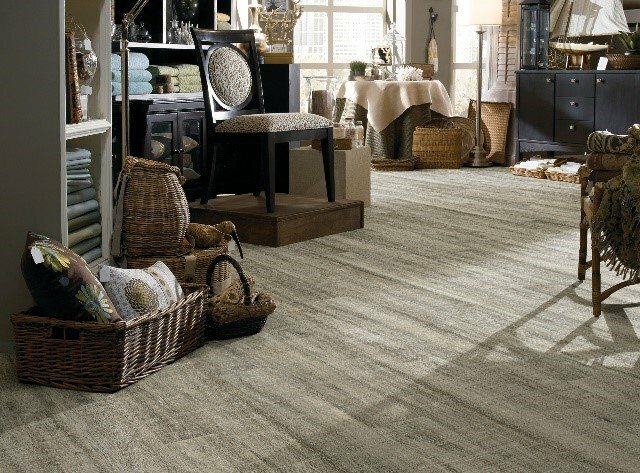 We all want to cringe and turn the other way when we hear the word “vinyl.” We typically think of thin linoleum sheets with printed images rolled out and glued onto the subfloor. 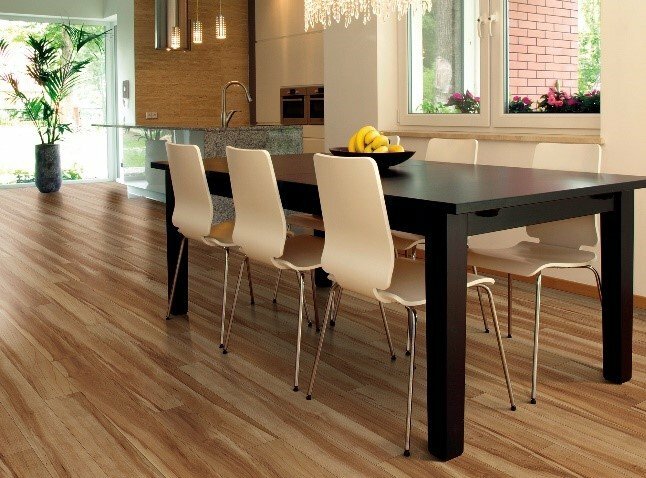 Luxury Vinyl Planks have come a long way since then. Let us show you! Please give us a call today at 317.575.9540 to set up an appointment with one of our designers.